Home»All»Move One Place On… The Alice and Wonderland Sculpture at Evelyn’s Park! 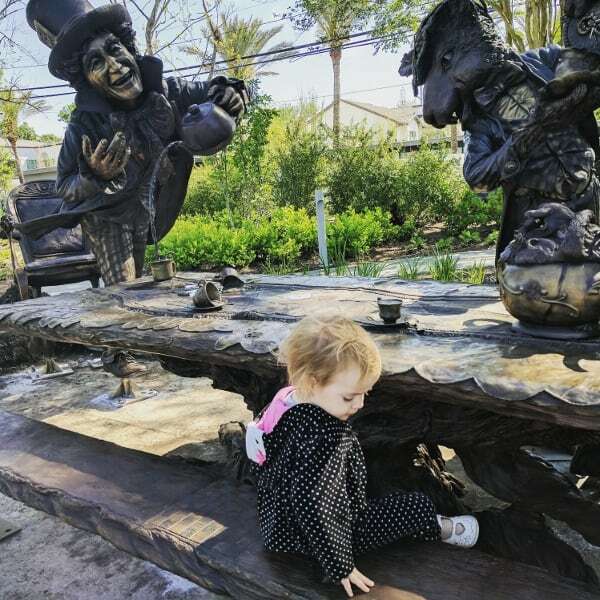 Move One Place On… The Alice and Wonderland Sculpture at Evelyn’s Park! 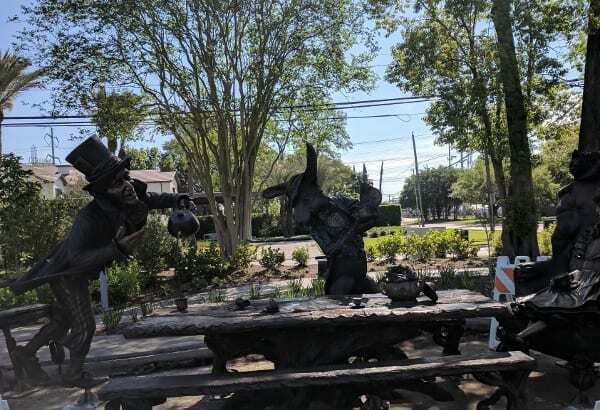 My new favorite thing in Houston is the Alice and Wonderland Sculpture at Evelyn’s Park. I know, I know, I’ve been posting a lot about it lately… but did you know that there are 150 different elements from the book within the sculpture?! For example, you can find a small Humpty Dumpty or the White Queen, on the legs of the table and benches. You can download your FREE detective book HERE! AND, did you know that the name of the sculpture is “Move One Place On”? As you sit down for tea, you are to honor someone with master of ceremonies and they will stand up and yell , “I want a clean cup move one place on.”. If you follow the artist, Bridgette Mongeon, on Instagram or Facebook, you can see as she reveals the hidden items and the #MoveOnePlaceOn videos! Someone should go to the park today with hats and party favors for on May 4th the real Alice ( Alice Liddell) was born. I think she needs a giant party hat.